The Old Man Logan series may be coming to an end, but Marvel has one more story to tell starring the elder Wolverine. 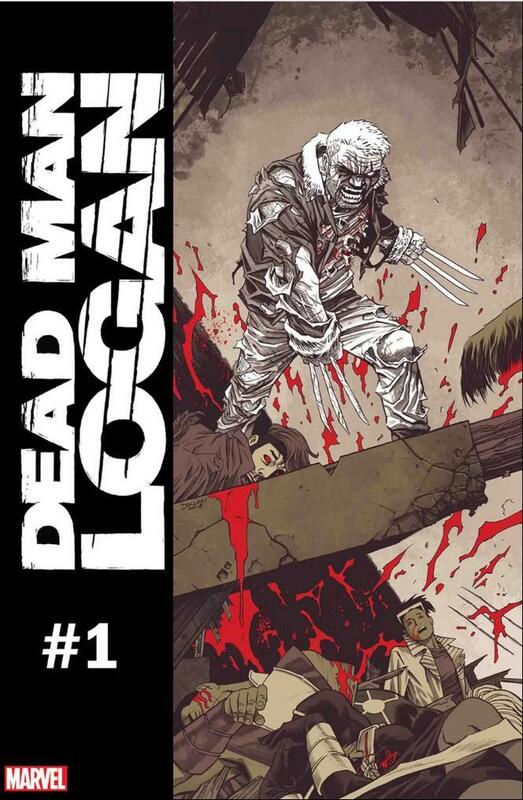 Dead Man Logan is a 12-issue limited series from writer Ed Brisson and artist Mike Henderson that will see Old Man Logan returning to his own timeline to finally get revenge on Mysterio, the villain who tricked him into murdering the X-Men. Marvel and Brisson have billed the series as the end of the Old Man Logan saga. "This is it. This is going to be the big, final Old Man Logan story," Brisson told Newsarama. "Logan's dying and still has a lot of unfinished business to attend to. Dead Man Logan will largely be Logan tying up loose ends - loose ends like Mysterio, the man who, in Old Man Logan's timeline, caused him to kill all of the X-Men. That's not a box that Logan's going to leave unchecked. "We've got lots of big battles and some crazy stuff in store. With a title like Dead Man Logan, it's probably no surprise where we're going. This one's all about the journey." The version of Wolverine now known as Old Man Logan was created by Mark Millar and Steve McNiven in the original “Old Man Logan” story. That story was set in an alternate future where the supervillains had struck as a united front and finally defeated the heroes. Mysterio used his illusion powers to get Wolverine to kill the other X-Men. After that, Logan lived for years without popping his claws until the Hulk Gang murdered his family. Old Man Logan was reintroduced during the Secret Wars event and was one of the alternate universe character carried over to the main Marvel Universe after the event ended. He rejoined the X-Men for a time but has recently had his healing factor reduced to nearly nothing and is beginning to yearn for his own reality. Marvel announced the cancellation of the ongoing Old Man Logan title last month. Are you excited Dead Man Logan? Let us know what you think in the comments.